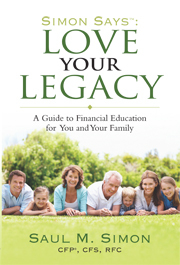 You are concerned about your parents' financial health and may need to provide financial support. You want me to take a quick diagnostic of your parents' financial situation or estate concerns. College funding strategies for your children. You don't know what would happen to your family if something should happen to you tonight. How can I reduce my income tax liability? You have a health issue or concern that could have an impact on earning an income. You or a family member lost their job or a death occurred & need to review future sources of income. You are considering downsizing because you are not sure if you can support your current lifestyle. If anything above resonates to your situation, please call me at 732-623-2070 to schedule an appointment. We are here to advise you on your financial planning and to help you look at things from a different perspective. We know that these are issues that can keep people up at night, so we would like to help you reduce your stress. Here's wishing you good health, prosperity & sense of security. *Lincoln Financial Advisors Corp does not provide Divorce Planning.